When the Leap Motion Controller ships worldwide later this month, Airspace is the first place you’ll go to find the latest 3D interactive apps. Here’s a quick preview of what to expect once you’ve installed your new device. 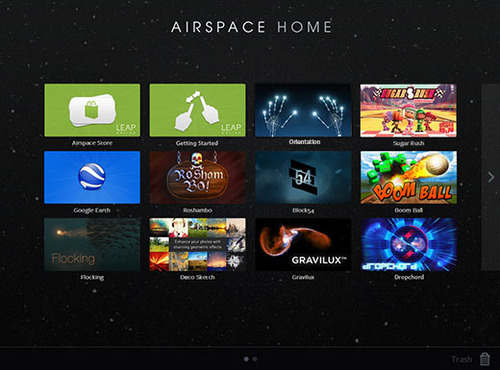 Airspace Home is the place where you can discover, buy, download, and launch Leap Motion apps. From your desktop, it displays every app downloaded and installed from the Airspace Store. It also shows other applications on your computer that support Leap Motion’s software (such as Google Earth). The Airspace Store is a website that you can access from Airspace Home, or directly on the web, starting July 22. 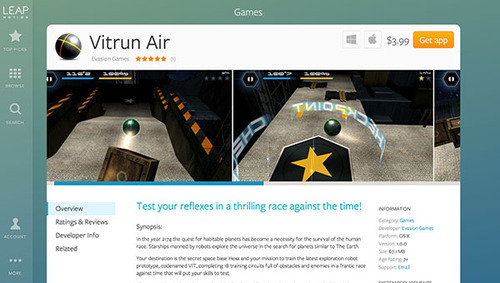 The Airspace Store is the best place to find apps specifically designed or optimized for the Leap Motion Controller. It features both free and paid apps, starting at 99 cents. With the Leap Motion Controller and apps from Airspace, you can play games, create, learn, listen to music, access news feeds, explore the universe – we have so many wonderful things in store. Many of the apps work for both Mac and Windows, but some are single platform – developers choose. Here are just a few examples of what you’ll see in Airspace soon. In the Airspace Store, every app will have a preview page that includes a synopsis, plus pictures and video when available. You’ll also see user reviews and background information on the developer. 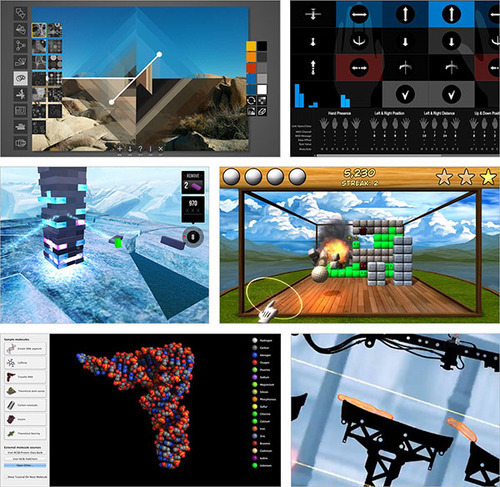 What sorts of 3D interactive apps are you most excited to see later this month? 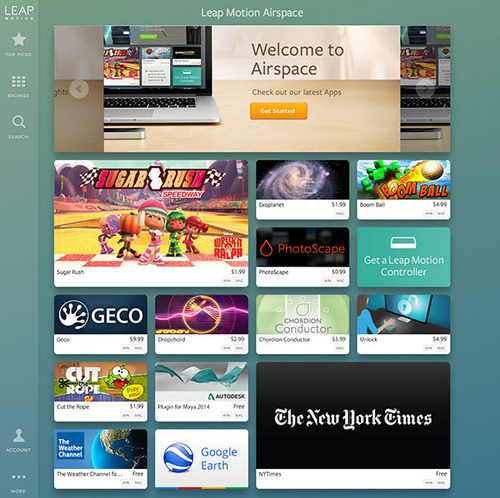 Update 9/12/2014: The Airspace Store and Airspace Home are now simply called the Leap Motion App Store and App Home.